Star Academy targets 8th and 9th grade transition students to re-engage and succeed. 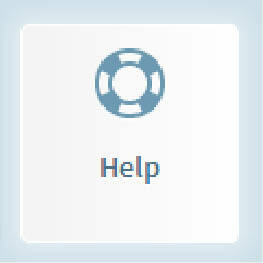 Use the navigation panel to the left to find instructions about how to use various Synergy ITC features. Simply click the topic you would like to learn more about. To expand the view, click the plus symbol. To minimize the view, click the minus symbol. Synergy ITC is the content delivery and management system for Pitsco Education curriculum. It provides instructors with the tools needed to schedule students into curriculum content and manage their grades received in that content. Synergy ITC also delivers content to students, including images, graphics, videos, and audio-based instruction. All of this is handled from the cloud. Synergy ITC includes a secure login feature that ensures students work on individually assigned content and receive grades for only their work. Content is delivered from a cloud server through an internet browser. Access to the majority of pages within Synergy ITC is based on standard AJAX and Dynamic HTML techniques. Modules is a Flash based product while IPLs and Expeditions are HTML5 products, all delivered through ITC. Local browser caching of media helps relieve network load. Examples of such applications include Microsoft Flight Simulator and Easy Media Creator. The operating system requirements are dictated for those titles by the software requirements of the third-party title. Installation instructions are provided. *Third-party software is not compatible with Mac OS computers.